Spot any bugs? Let us know below! If you're reading this on a smartphone or tablet then you've probably already noticed some pretty big changes. We've completely overhauled our mobile site to improve the experience and make it easier for you to find the content you love. 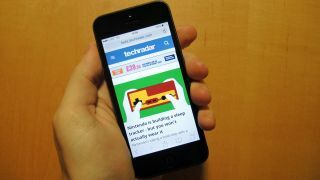 The site is accessible at beta.techradar.com (or just punch in techradar.com if you're on mobile), but as that URL suggests it's still in the beta stage, meaning there may be a few bugs lurking around. If you spot any, let us know. In the meantime, we hope you'll find the new mobile site a much better, much more streamlined way to experience TechRadar when you're away from the desktop. And as we said, if you come across any problems then let us know in the comments below.